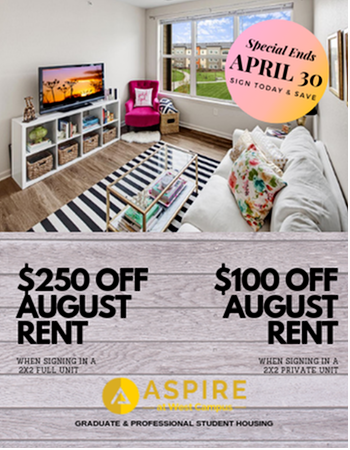 Aspire at West Campus, an apartment community for graduate students and faculty at the University of Iowa, has been recognized by Apartment Ratings as a 2017 Top Rated property. According to the list, the community is the highest rated residential property in Iowa City. The property’s one- and two-bedroom apartment options feature desirable amenities including energy-efficient appliances, fully-equipped kitchen and wood style flooring. Community amenities such as lounge and study areas, CAMBUS stop and dog park, as well as convenient access to I-380, I-80 and downtown Iowa City, offer residents a stress-free living environment with all the necessary comforts and conveniences. 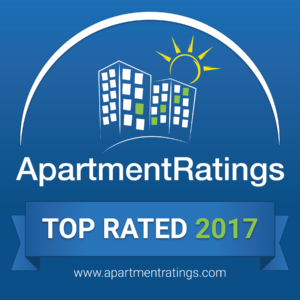 The annual Apartment Ratings Top Rated awards recognize properties with outstanding resident satisfaction as measured on ApartmentRatings.com. Approximately 5% of the total properties listed on the site qualify for an award.